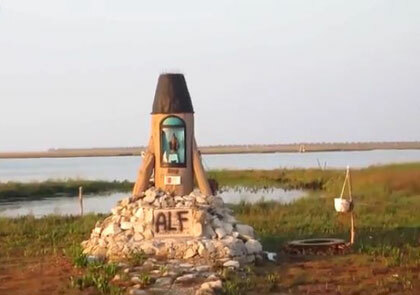 According to a report on frentedeliberacionanimal.net, during a full moon in June, ALF activists went to a shrine outside Venice, broke the glass case and removed a model shotgun from the hands of the "Madonna del S'ciopo." The activists explained, "It has not been desecrated, but justice has been done against a sacred icon, which is there only to justify the murderous and violent behavior of hunters. It had nothing to do with religion."